Tea at the Langham. All photos by Annette Vartanian. 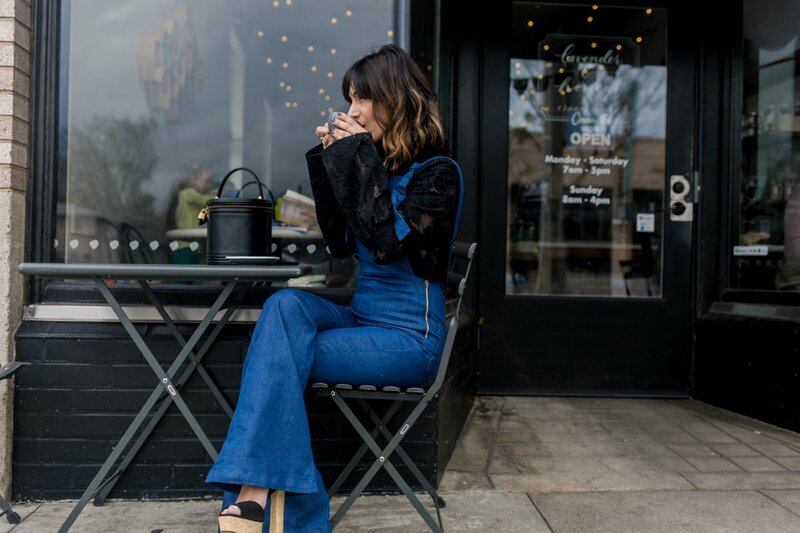 The Pasadena blogger behind A Vintage Splendor fills us in on her favorite places to source vintage, drink speakeasy cocktails, and hunt for local treasures, and more. 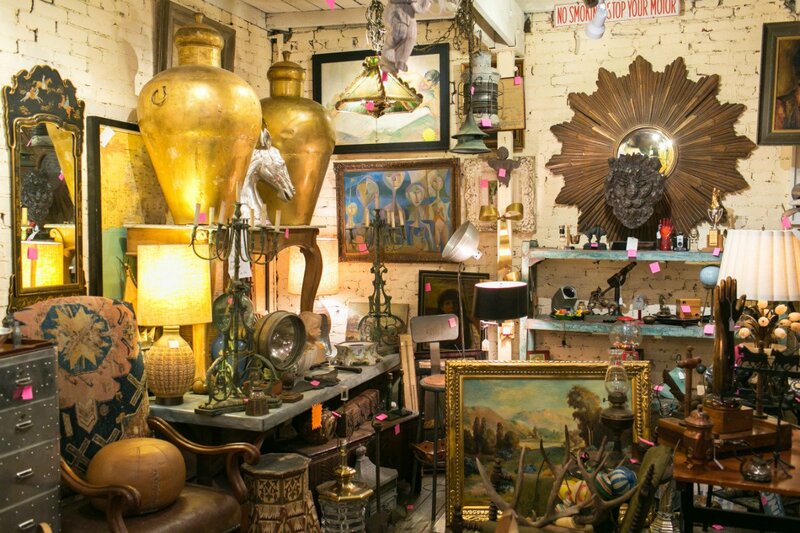 PASADENA, California – Five years ago, when my husband and I moved to Pasadena from Silver Lake to live in our dream house, my first order of business was to look for fun things to share on my blog, A Vintage Splendor. Here is my tried-and-true collection of favorite spots for shopping, drinking, and soaking up the unique So-Cal vibe of Pasadena. A farmers’ market favorite with seasonal flavored ice creams that are something to write home about. If you’re lucky to visit in the summertime, try strawberry (I stock up at the end of every season). Located in Old Pasadena in a dimly lit and perfectly quaint storefront, the snug gastro pub has a seasonal menu where California meets northern Italy. It’s exactly where you want to spend an evening drinking wine and feasting on homemade pastas and desserts. Left: Fresh berries at South Pasadena Farmers' Market. 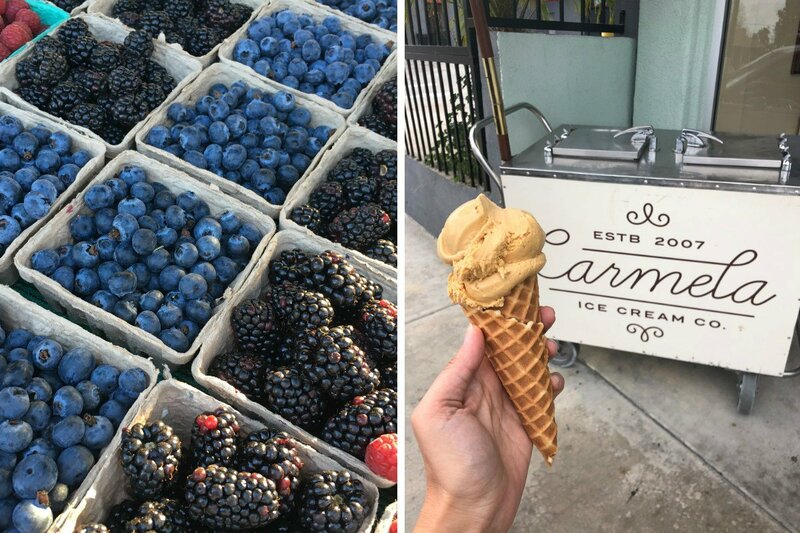 Right: A scoop from Carmela Ice Cream Co.
Goodies at Antique Center and Annex. Bordered by Orange Grove and Washington and Lake and Hill Sts. Come for the sea salt caramels, stay for the baked goods and hearty quiche at this neighborhood cafe with a cult following. Charlie and Melanie Porter opened the boutique coffee bar and deli because they wanted to create a space with a strong community culture. Order your cup of coffee with a simple, delicious toast or two. 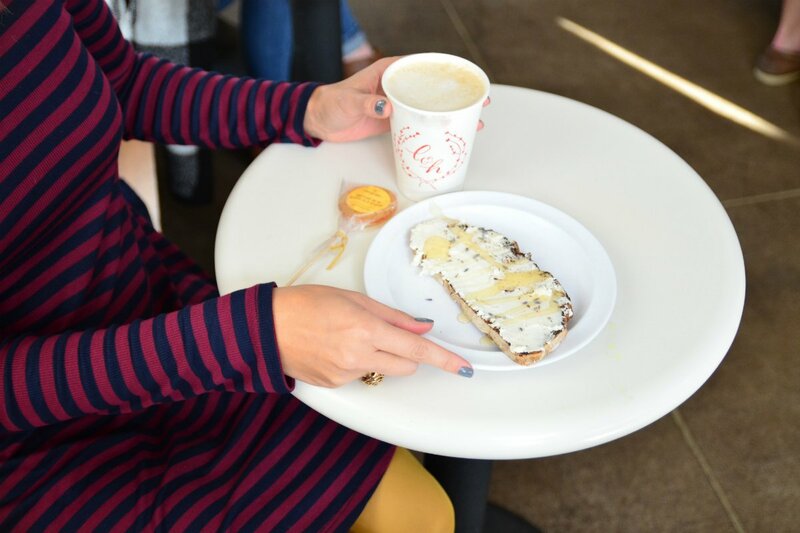 Toast, sweets, and coffee at Lavender & Honey. Annette sipping a cup of coffee at Lavender & Honey. Delila opened her vintage store when she was still in high school and has been running the tiny shop for over ten years. Her vintage pieces are unique and affordable. On Thursday nights, everyone in the city gathers at this market to shop, eat, and enjoy live entertainment. 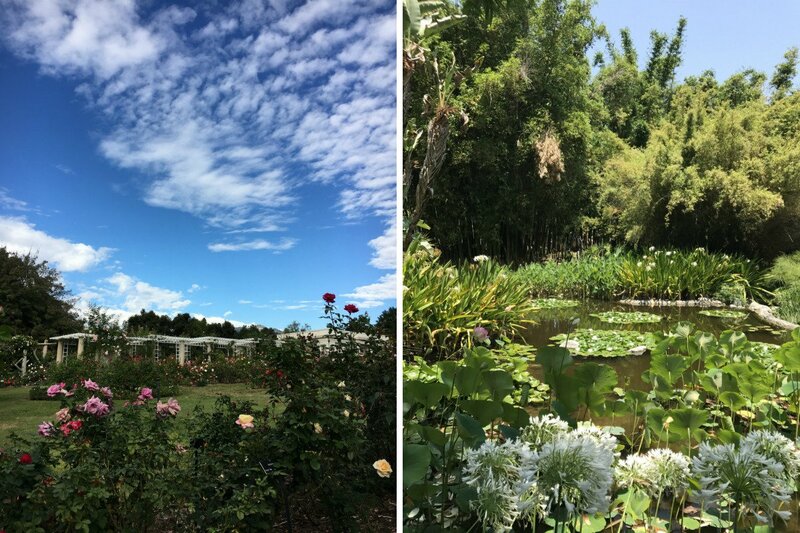 Left: Flowers in bloom at Huntington Garden. Right: The lily pond at Huntington Garden. Located in a long-abandoned steel fabricator, the duo behind Little Flower Candy Company delivers fresh baked pastries and a variety of brunch options to this cafe and shop. I love the huevos rancheros and specialty bowls. Located on the northern boarder of Pasadena, the contemporary bistro feels like a hidden treasure, showcasing the latest culinary trends in a cute setting. The crème de la crème of Pasadena hotels with beautiful architecture and serene grounds. 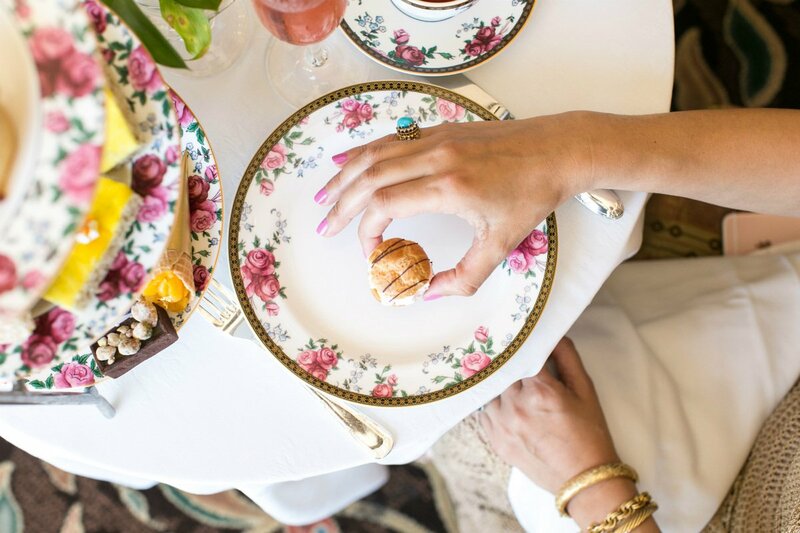 Locals love The Royce for steak, The Tap Room for cocktails, and the afternoon tea brewing specialty teas in tailor-made “Langham Rose” Wedgwood tea sets. Annette is a digital strategist, vintage hoarder, and the blogger behind A Vintage Splendor. You can follow her on Instagram. 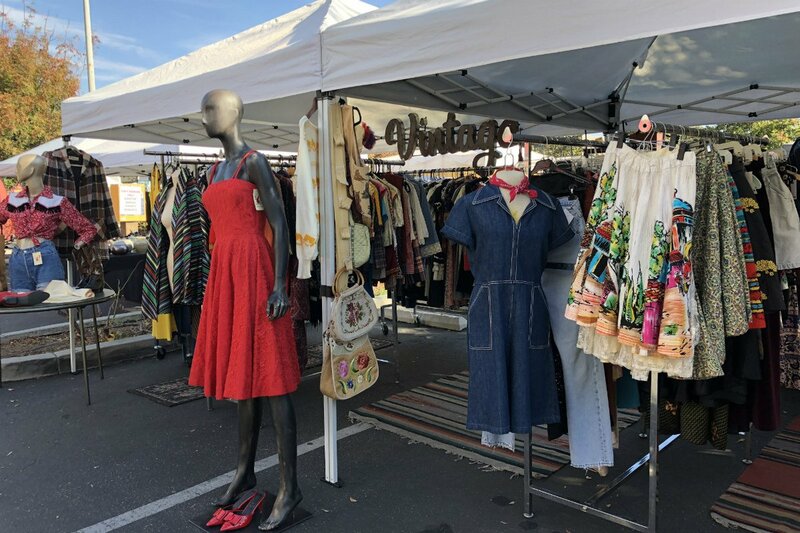 Annette travels for the thrill of the thrift, but her heart will always be in Pasadena.